Time flies, when you're having fun? KETALOCO invited last year all lovers of deeper sounds at Belgium's premium venues Tour & Taxis, QUAY 01, SPIRITO BRUSSELS, Club Vaag & our stage at festivals Tomorrowland, Paradise City Festival, Bar Belle Vie, Aftrsun Festival & No Man's World Festival! For our 12 Years Anniversary we enter the top floor of QUAY 01 with 180° harbour view & a more intimate atmosphere! 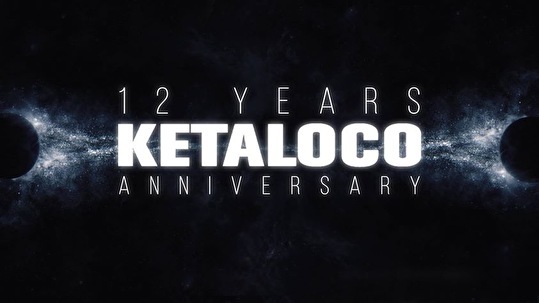 CU all to celebrate 12 Years of crazy events! !